I didn't know how lucky I was to have fallen in love with guns while living in Atlanta Georgia, until I talked gun ownership & concealed carry with gun loving NYers & north easterners. Those folks work hard for their arms rights! After the Concealed Carry Fashion show, I began to wonder: What's it like for a girl in New York City who is curious about guns? Who can she talk to? Where can she shoot? Meet Lauren. A New York City girl who is proving that guns and New Yorkers aren't completely like oil and water. In college, at age 19, I had no idea what I wanted to do with my life. I decided to take an EMT class and quickly fell in love with the job. My partners and co-workers became my best friends. Many of them had vacation houses outside of the city, mostly in Pennsylvania. 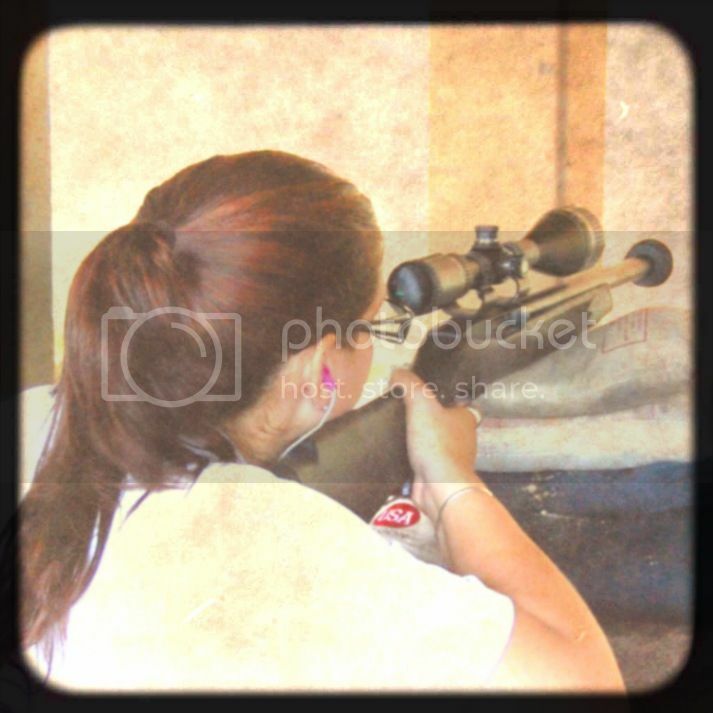 We would go camping, ATV riding, hiking, and there I was introduced to shooting. I caught the bug the second I picked up my first pistol. It was hard for me to practice because I was always at the mercy of other people’s schedules. As I was not yet 21 yet, I couldn’t apply for a permit (because in NYC you need a permit for a RIFLE!). I usually had to call friends who were gun owners. Fortunately, by working civil service, I had become friends with a lot of cops. It was always fun and I was glad I was getting some lessons, but I still wanted more. Then, last Christmas, my aunt told me that she was getting into shooting and that she loved it. That's when I started spending more time up in Hudson, NY, learning from her and her instructors. Since then, I have been around guns EVERYDAY, in one way or another. I finally put in my paperwork for my rifle permit, and will soon be applying for my pistol permit. 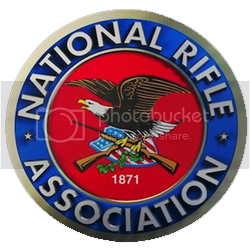 I also decided to become an NRA instructor to further my knowledge and be able to pass on what I have learned to other new shooters. Protecting the Second Amendment and educating others on its importance has become a passion. We need to all work together to keep our rights and our freedoms, because that is what is at stake. Everyone shoots and own guns for a different reason, but the most important thing is that we can continue to do so! Shooting has given me an opportunity, not only to find something else where I can excel and feel strong, but another opportunity to prove women can keep up with the boys! Working in a male dominant field, I have always had to prove myself and work extra hard, which has given me an advantage because I thrive off of it. I love pink and make-up and heels, but a physical challenge is a great opportunity to succeed and grow. I’m going to continue to seize EVERY opportunity to learn new things. 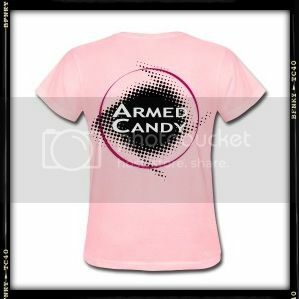 I hope that by contributing to ArmedCandy, I can reach out to more women who may be afraid to ask questions, as I was. 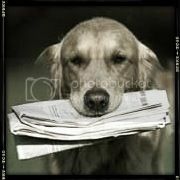 It may also prove to be another place for me to share and receive new information. And it doesn't hurt that she's a total hottie! 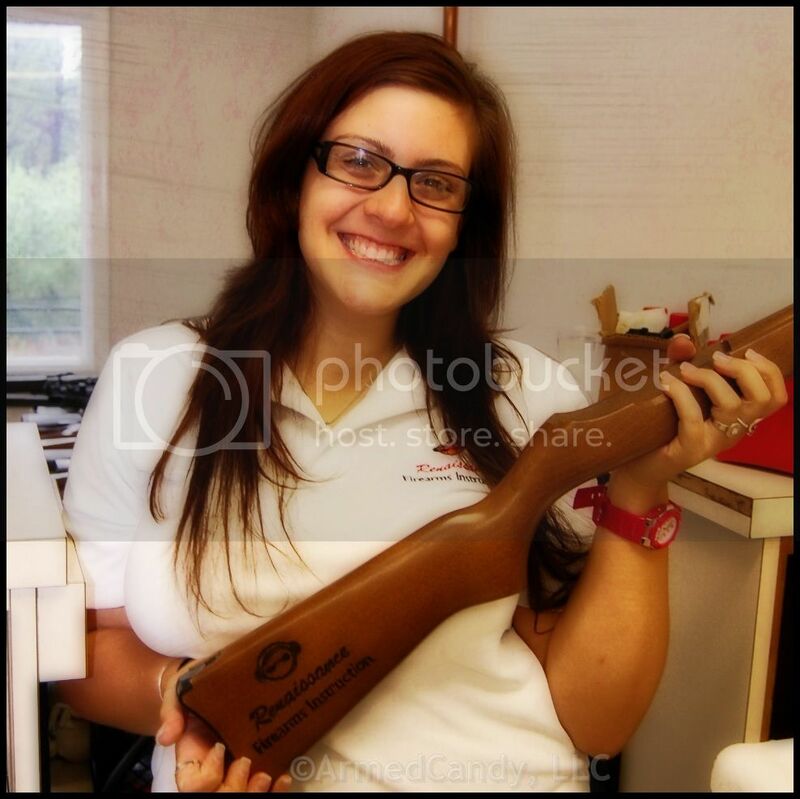 Here I am being all professional =P lol . Terrific article.. where in Queens are you located? i am a bowhunter but am also interested in learning how to shoot!